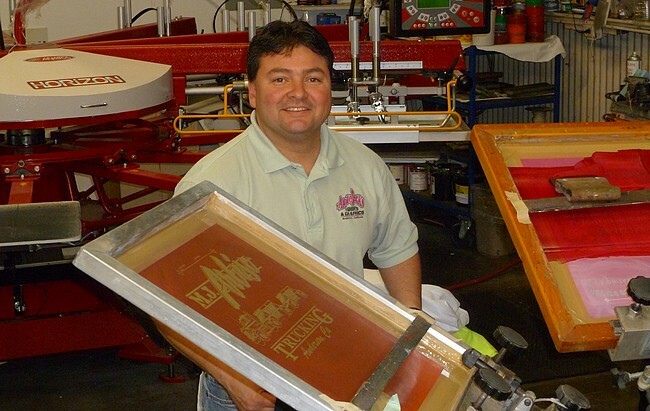 "Printing the World One Shirt At A Time"
Welcome to AppleJacks, we offer screen printing, embroidery, vinyl graphics, logo designs, business cards, banners, & signs. Since 1989 AppleJacks has developed a strong customer base, built on quality of work, customer service, and on-time delivery. We use the latest in automatic screen printing technology. © 2012 AppleJacks T-Shirts. All rights reserved.